Clearfield County (pop. 81,642) is east of Jefferson and Indiana counties. 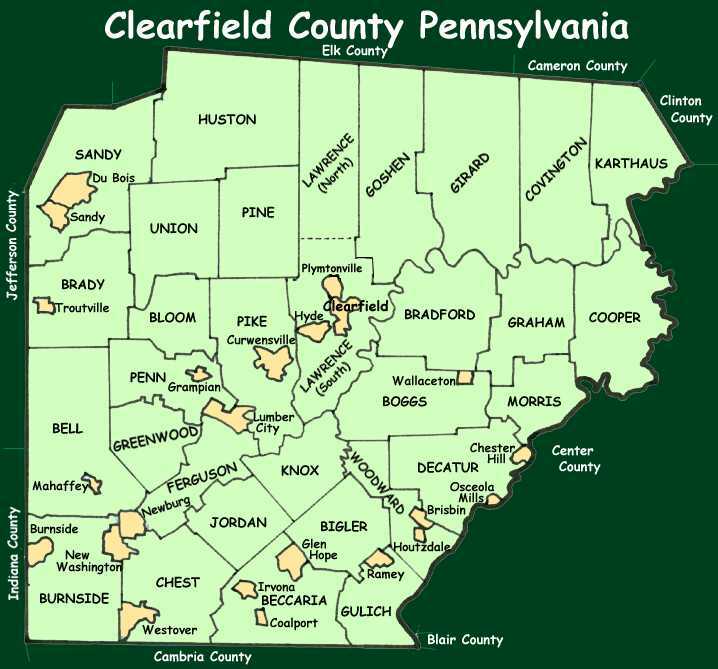 It’s the only Clearfield County in the U.S. 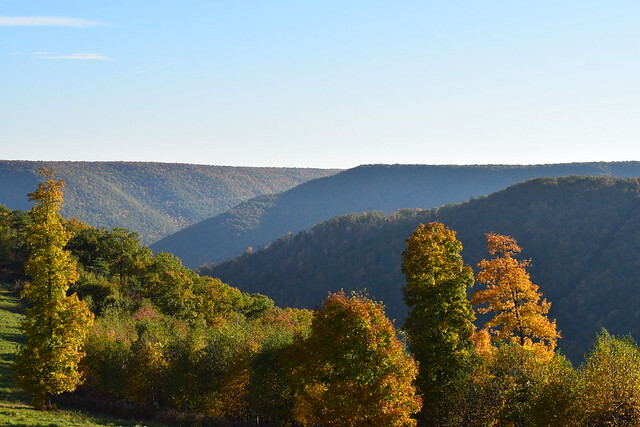 The mountainous Clearfield County is Pennsylvania’s third-largest county in land area. Its population has fallen from 103,236 in 1920. 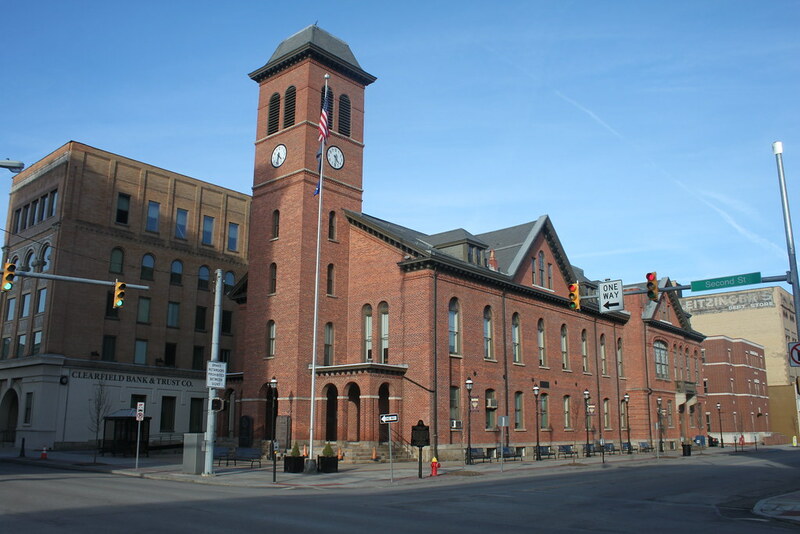 The county seat is the borough of Clearfield (pop. 6,215), on the West Branch Susquehanna River. 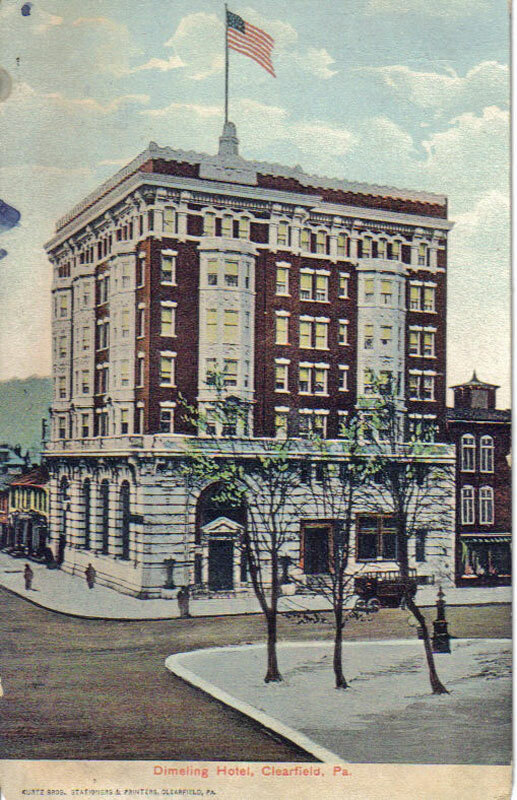 The seven-story Dimeling Hotel dates from 1905. It now has residences for senior citizens. The Ritz Theatre, built in 1926, is still showing first-run movies. Denny’s Beer Barrel Pub is famous for its gigantic hamburgers, including the 3-pound ($29.99), 6-pound ($49.99), 15-pound ($82.99), and 125-pound (market price). The largest community in Clearfield County is the city of DuBois (pop. 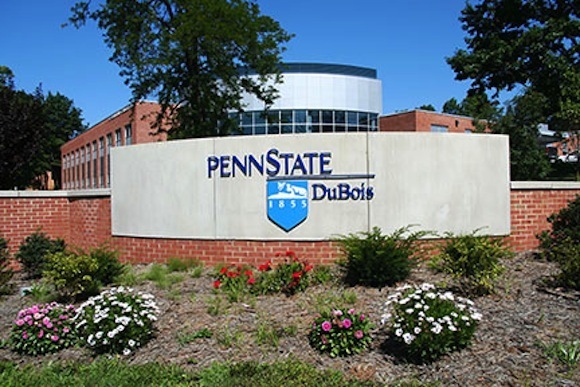 7,794), pronouced “Du-boys,” home of Penn State DuBois. The coal company town of Helvetia is now abandoned. 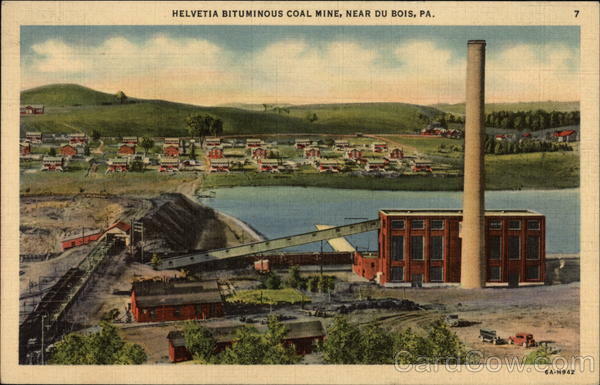 It was a company town for the Helvetia Mine from 1896 to 1947. Only the power plant is still standing. Parker Dam State Park and S.B. 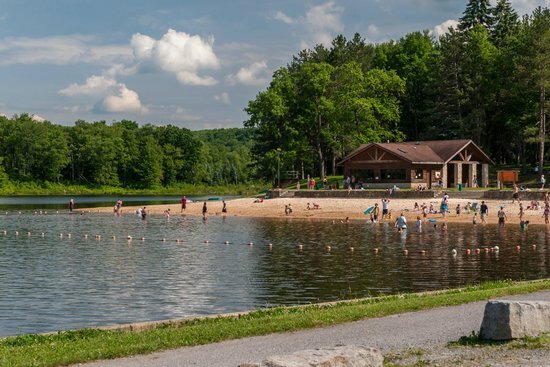 Elliott State Park are both in Clearfield County. The Quehanna Wild Area, with herds of native elk, is the largest state forest wildlife area in the state. 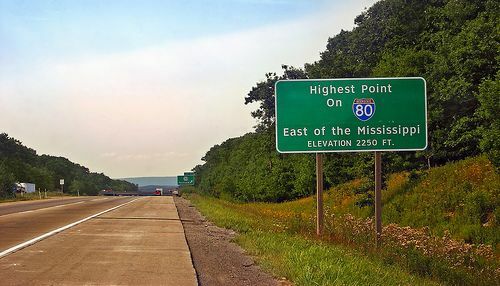 It was a center of nuclear research starting in the 1950s, and has a legacy of radioactive and toxic waste contamination.